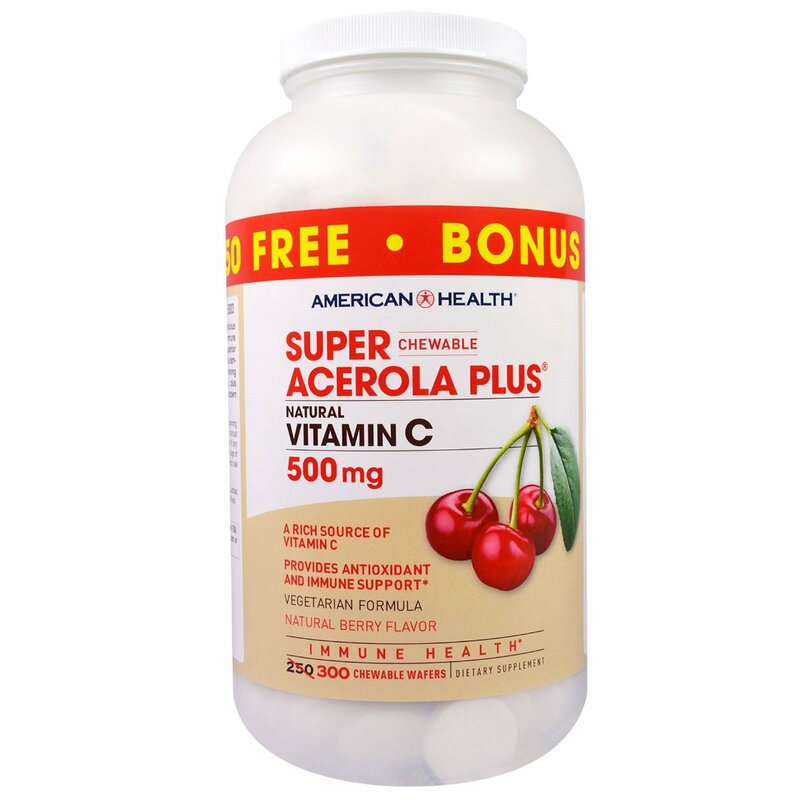 Super Chewable Acerola Plus is a naturally delicious vitamin C supplement which provides beneficial immune support and potent antioxidant activity. 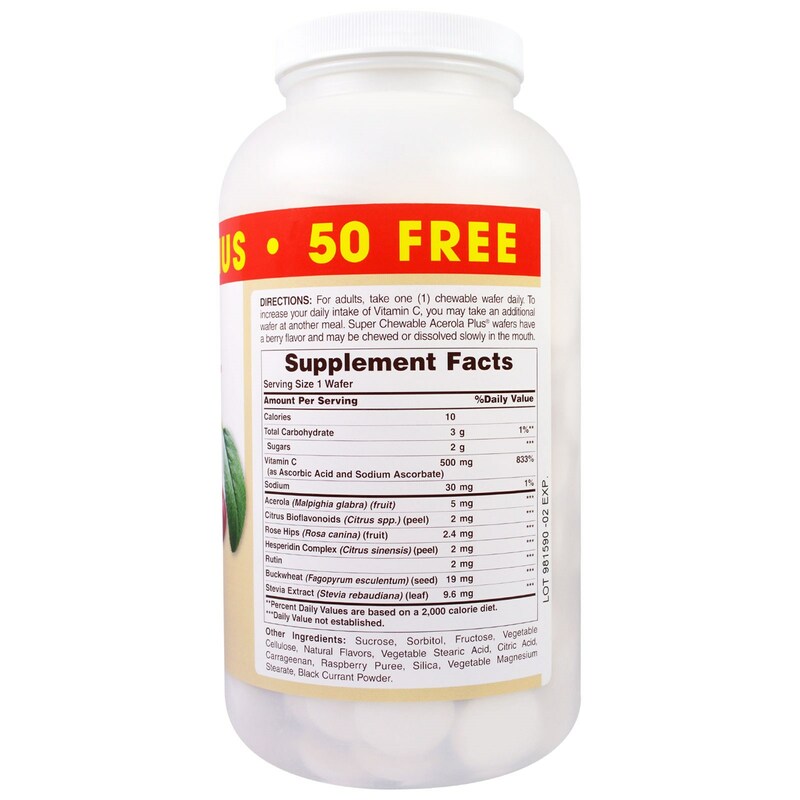 As a superior antioxidant, Vitamin C can protect against free radical damage and the premature aging of cells. Our award-winning formula best taste features the acerola berry, plus Citrus Bioflavonoids, Rose Hips and other nutrients known to work well with this essential ingredient. For adults, take one (1) chewable wafer daily. To increase your daily intake of Vitamin C, you may take an additional wafer at another meal. Super Chewable Acerola Plus wafers have a berry flavor and may be chewed or dissolved slowly in the mouth. Sucrose, sorbitol, fructose, vegetable cellulose, natural flavors, vegetable stearic acid, citric acid, carrageenan, raspberry puree, silica, vegetable magnesium stearate, black currant powder. No gluten, no yeast, no wheat, no milk or milk derivatives, no lactose, no soy, no egg, no preservatives, no artificial color, no artificial flavor.